Robyn and Dean Billings are embroiled in a messy divorce which is tipped to be Staten Island’s most expensive. THEY lived in one of Staten Island's most luxurious homes, where the garage housed his-and-her Ferraris and the backyard koi pond had its own attendant. Now Robyn and Dean Billings are on the road to one of the island's most expensive divorces. In addition to their sprawling, multimillion-dollar Todt Hill mansion, the couple is fighting over bank accounts, a fleet of luxury vehicles and who will pay hundreds of thousands for three housekeepers, dog walkers and private schools for their children, according to court papers. "He took my lifestyle from me and my money and he's shoving it in my face that he's giving it to other women," a tearful Robyn, 48, told The Post. Dean and Robyn Billings are going through a pretty messy divorce. "I can't even begin to tell you what this has done to me and my children's lives. We basically found out our entire life has been a lie." She charges that Dean, 52, who runs a pesticide empire, doesn't pay the bills or the children's private school tuition and now lives in Battery Park City, goes to Miami every two weeks, rents yachts and blows cash at strip clubs. "Some of our accounts are months behind," Robyn said in court papers. She accused her estranged husband of "depleting the marital estate at an alarming rate" by purchasing expensive gifts and paying rent on luxury properties for his "girlfriends", the court papers said. Robyn also alleged that one of her husband's "several paramours" posted a "lurid" Snapchat thread targeting one of their teenage daughters. The Billings had both 'his' and 'her' Ferraris. "The sad truth is that neither the children nor I were ever denied anything until (Dean) began to lose control of the other part of his life - the partying, shopping, drinking and substance abuse and the women," the court papers say. Long before the court proceedings, there was a courtship. 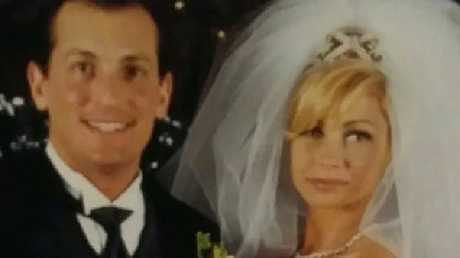 Dean Billings and the former Robyn Miele were introduced in autumn 1997 and married in January 2000. They had their reception in the once-glittering Crystal Room at Tavern on the Green and honeymooned in Anguilla. "I thought he was going to be a great father and a great family man. Funny!" Robyn recalled. The couple has five children, including a son and daughter from her first marriage. In 2003, the couple moved to exclusive Benedict Road on Todt Hill, an enclave of multimillion-dollar homes. In 2012, they moved across the street to palatial 125 Benedict Road. Robyn Billings is fighting with her husband over their bank accounts. The four-storey, seven-bedroom manor was on the market last year for $6.3 million, "Staten Island's most expensive house for sale," according to the real estate listing at the time. The estate was taken off the market amid the litigation. Robyn Billings said that by 2015, the marriage had "gone downhill." She filed for divorce in February 2017, but briefly dropped the action in an effort to work things out. She refiled for divorce in November on the grounds of "the irretrievable breakdown of our marriage," court papers state. Robyn lived in a four-storey, seven-bedroom manor. Robyn's lawyer, Leslie Barbara said: "This is a nasty, contentious divorce … She's a wonderful mother, she's been a good wife and she's a stand-up person who does not deserve this." Dean's lawyer, James Sexton, scoffed at the charges. "One of the most frustrating aspects of New York divorce law is how easy a disgruntled spouse can make false claims in preliminary litigation papers, for dramatic effect," he said. The case is back in Staten Island Supreme Court next month.